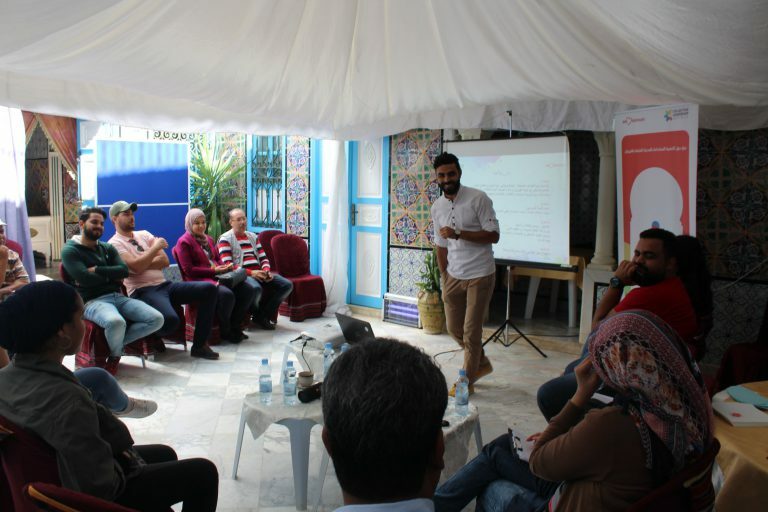 Since February 2017, CLI collaborates with We love Kairouan (WLK), a youth civil society organisation in Kairouan, Tunisia, to strengthen civil engagement, local good governance and decentralisation of the democratic process in Kairouan. WLK supports local identity, culture and environmental awareness in the city and region of Kairouan. In a workshop for key members of the organisation, prepared jointly by WLK and CLI, capacity building and the sharpening of WLK’s mission and strategy for engagement was combined in CLI’s proven approach of integrated capacity building. In a tailored design, the Dialogic Change Model © was complemented by the Collective Leadership Compass © to address both organisational challenges on a strategic level, and develop next steps in the process of engaging more young people. In fall 2017, a new vision of WLK as a more strategic actor in local good governance took form, and the project for a sustainable development of the Medina in Kairouan “Bab el Medina – Gates of the Medina” project was launched. It aims at setting up a multi-stakeholder dialogue platform with Kairouan’s key stakeholders in governance and development. The We love Kairouan team will facilitate this dialogue process applying the CLI methodologies. The objective is to collectively develop and implement actions to sustainably revitalize the Kairouan old city center, the medina, a UNESCO world cultural heritage site. 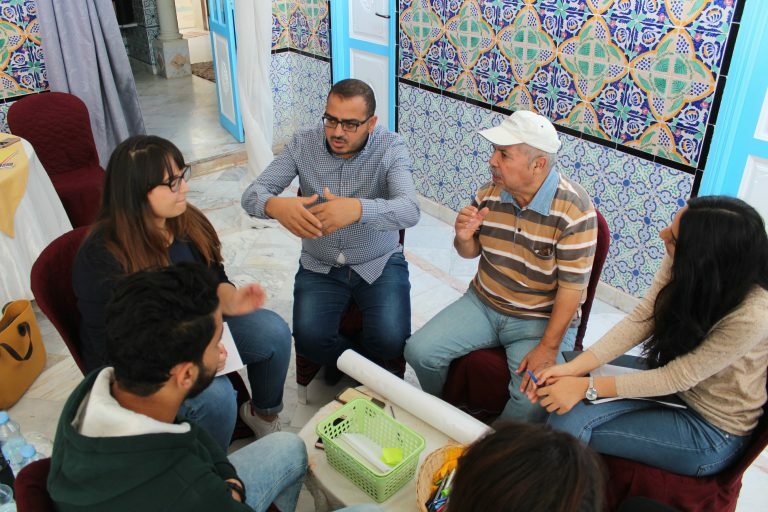 Current situation: As of October 2018, the We love Kairouan team conducted several Stakeholder Dialogue workshops with public administration and civil society representatives on concrete goals and actions for the sustainable development project for the Medina. Applying their training in the Dialogic Change Model © and the Collective Leadership Compass, the We love Kairouan team facilitated the conceptualization of a collective action plan: The Souk al Mouajel, a traditional district in the Medina that can trace its roots back to the 12th century and that is currently run down and dysfunctional, was chosen as the focus of the platform’s intervention. 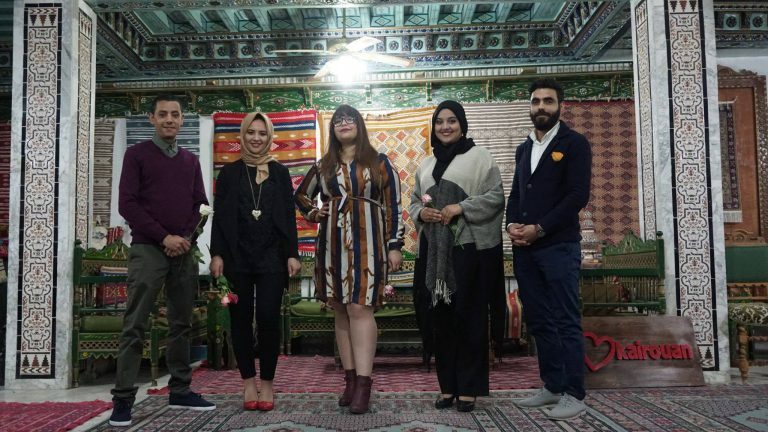 The members of the platform have drawn up a concrete plan for reviving the souk, with actions that interlink economic, social and ecological aspects, and that bridge tradition and modernity. In addition, the planning includes details on necessary resources and clear statements of commitment by the necessary stakeholders for its implementation. Next steps: The platform will collaborate with architects in Kairouan to visualize the plans for the Souk and add technical details. At the same time, the pilot action ‘Houma up’ by the platform will illustrate and test some of the first ideas with a community action in one of the Medina’s streets. Supported by the ifa (Institut für Auslandsbeziehungen) with funds from the German Federal Foreign Office. 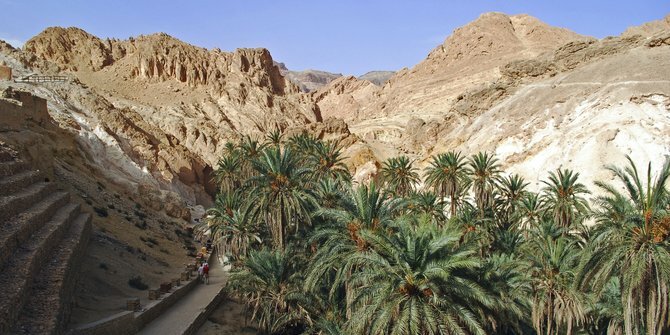 Climate Change Competence Center of Morocco (4C Maroc) has been established as a result of Morocco’s mission to fight effects of climate change in the country. 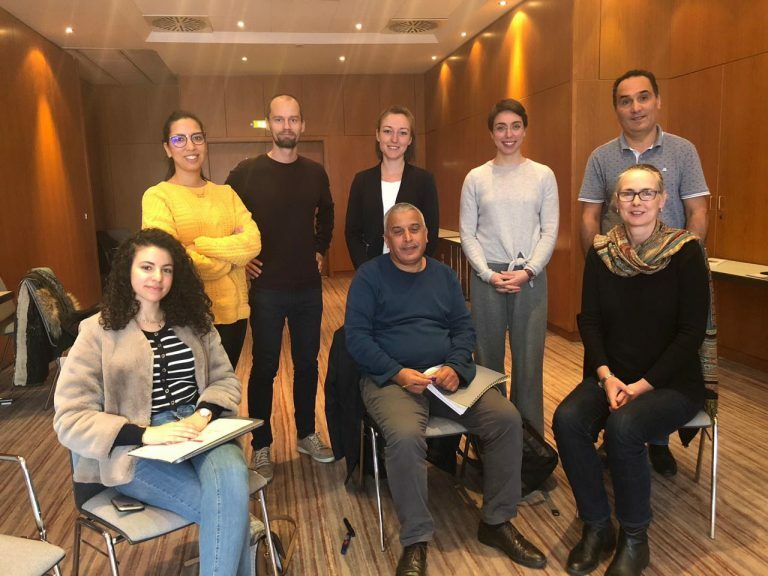 With its mission to provide training and share information on the mitigation of climate change effects, the center, together with its partner GIZ Morocco, organized a study tour to Germany to gain insights and inspiration from other institutions. Collective Leadership Institute supported the visit by providing two tailored workshops with the goal to support establishment of a concrete action plan for improving the collaborative and communicative mission of the 4C. 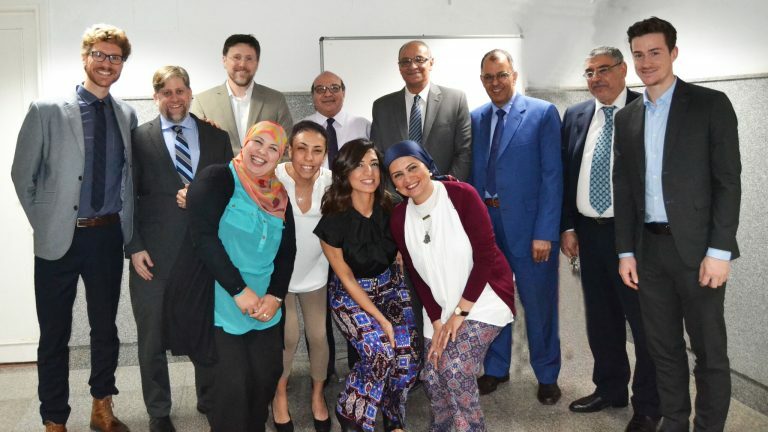 Mai ElAshmawy, certified Collective Leadership Specialist, published a case study as one step in establishing a Collaboration Academy in Cairo. “Paving the Way to Establish a Competitive Electricity Market in Egypt” introduces her work with CLI’s Collective Leadership Compass and Dialogic Change Model between 2015 and 2017 in this complex multi-stakeholder project. Until today, Morocco’s rural provinces have been marginalized by the countries’ economic growth, which is centred in its northern and coastal regions. In six pilot provinces (Midelt, Ouarzazate, Tata, Zagora, Tinghir and Er-Rachidia) structures for an institutionalised public-private dialogue were set up in order to find innovative solutions to this challenge. 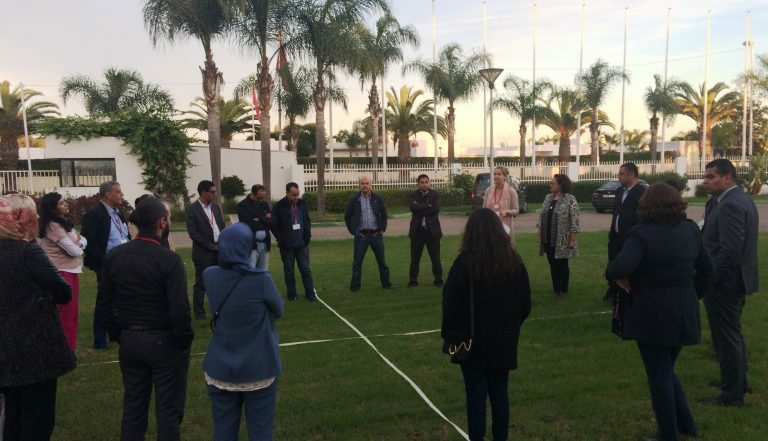 Since Mai 2017, CLI is working together with GIZ Morocco and is supporting representatives from each province respectively to render the new dialogue structures dynamic, innovative and inclusive – in short, sustainable and impact-focused. 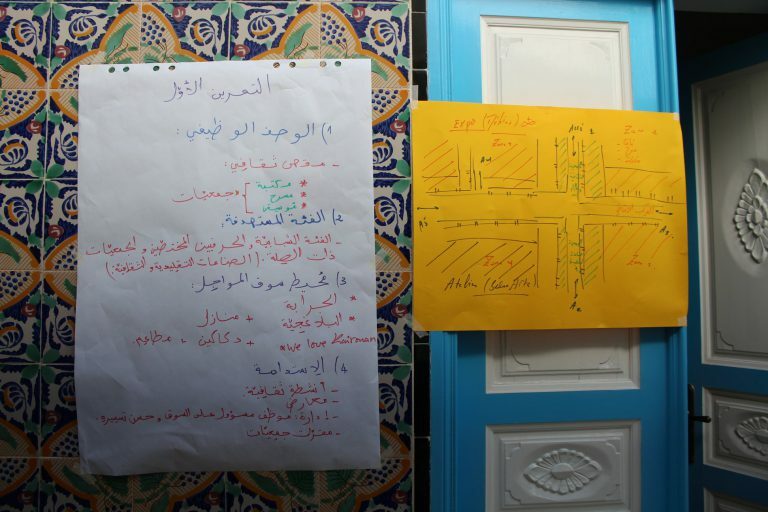 A participatory dialogue process to relieve the deficiencies of water management in central Tunisia. 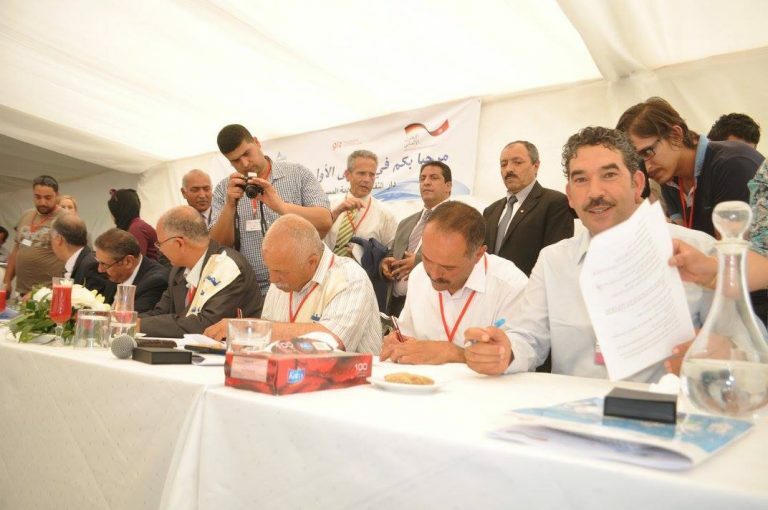 The Tunisian Ministry of Agriculture inaugurated the first Nebhana Water Forum in Sbikha, Governorate of Kairouan, in 2016. In the framework of the GIZ project Appui à la Gestion Intégrée des Ressources en Eau (AGIRE) and with the support of CLI, the Tunisian administration and local water users – mainly farmers – worked together in a participatory dialogue process in order to find solutions for sustainable water management. As a first step, a joint Charter was signed among the stakeholders, outlining the grounding principles of a shared approach to the management of the local water resources. Concrete measures for improved water management, developed by both parties, were equally presented. These first results of the dialogue process represented an unprecedented level of local governance in Tunisia, showing, against all odds, a groundbreaking re-establishment of trust between administration and citizens. 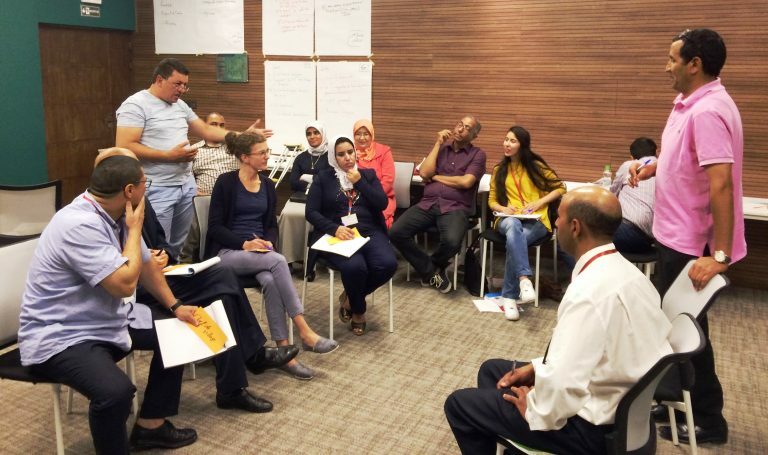 The ENTIRE project, funded by the European Union”s Non-State Actors and Local Authorities-programme, empowered regional civil society networks to take an active role in Integrated Water Resource Management (IWRM) in the Southern Mediterranean region. The Collective Leadership Institute, the Arabian Countries Water Utility Association (ACWUA), the Arab Network for Environment and Development (RAED), and the German Water Partnership (GWP) were the partners of ENTIRE. Through built capacity in dialogic change, the goal was to establish technical working groups on utilities management, capacity building and training, management of water resources, water and health, utilities’ reforms, and benchmarking. 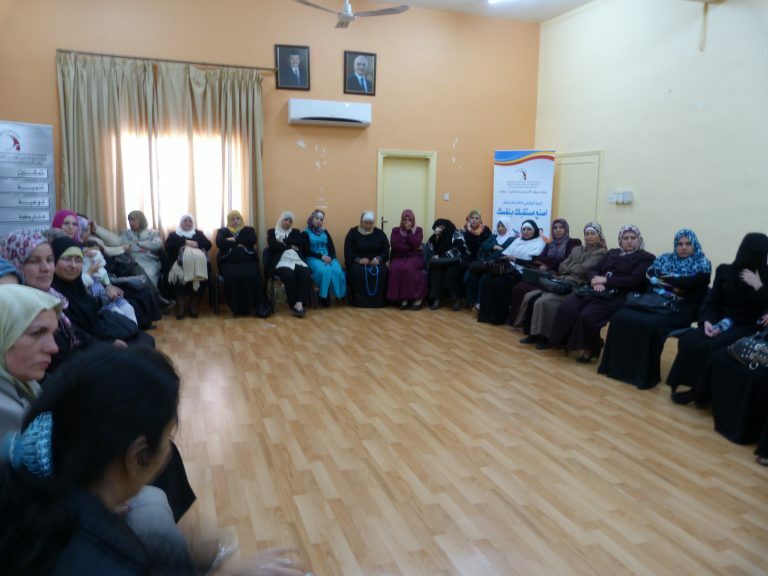 By training 60 members from ACWUA and RAED networks the dialogic approach was firther disseminated within their projects. 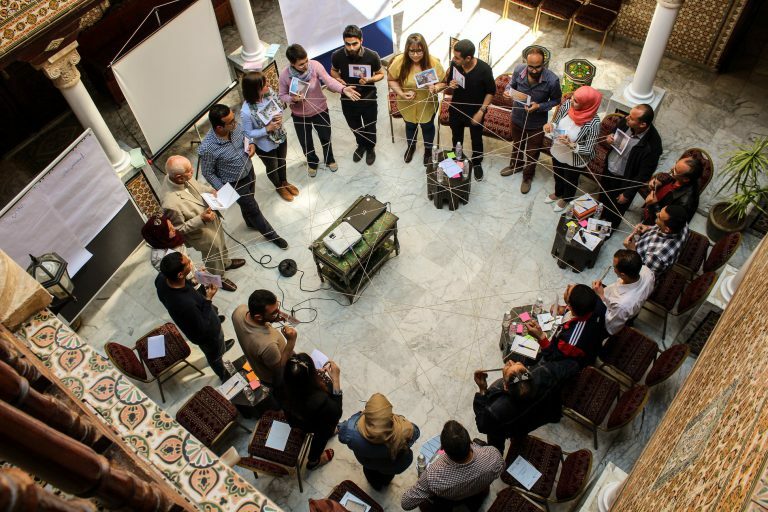 The Collective Leadership Institute worked with 120 people from the water sector in Jordan on a participatory research (multi-stakeholder dialogue) where the ideas of all involved were counted in with the purpose of establishing a network. The Water Wise Women Initiative was empowered to actively engage, interact, and gain trust with its partners in its communities and at the national level. 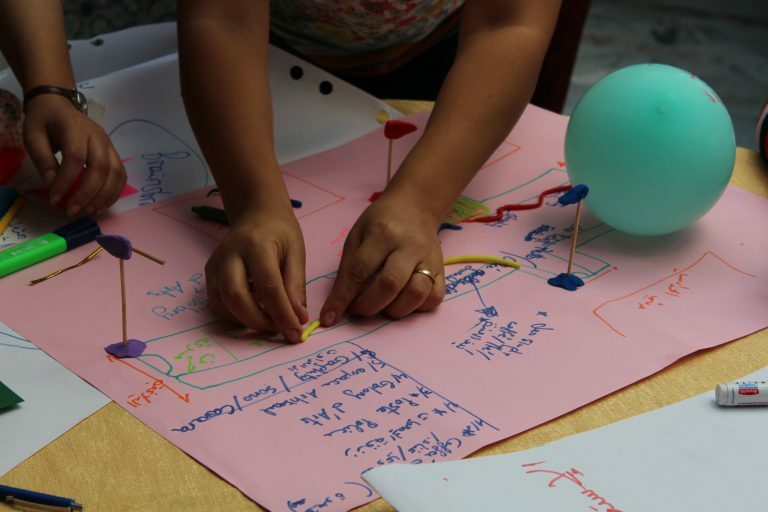 The Initiative participants learned how to base their work on the dialogic approach and adapt it to the needs of a community of 50 countrywide development centres. The WWWI subsequently established a national network institution that also ensures local women’s participation in public life. The results were an increased water use efficiency of households and communities and a direct impact on gender relations in Jordan.